A selection of the popular Juul brand vaping supplies on display in the window of a vaping store. The Food and Drug Administration announced Tuesday that it has been conducting a nationwide undercover crackdown on stores and online sites selling e-cigarettes to underage buyers and has issued warning letters to 40 locations – including two in Camden County. The campaign started April 6 and will continue through the end of the month, FDA Commissioner Scott Gottlieb said. "Today's action should serve to put retailers on notice to stop selling products to minors," said Gottlieb. Two New Jersey locations – Top Line Vapor, on 519 N. Warwick Rd. in Somerdale, and Mode E Cigarettes, on 408 E. Church St. in Blackwood – were among the 40 retailers that received warning letters. No locations in Pennsylvania were cited. The effort is part of the agency's new Youth Tobacco Prevention Plan, which focuses on halting use by young people of tobacco and e-cigarettes, which use fluid containing nicotine. The Juul brand e-cigarettes — which look nothing like real cigarettes — are wildly popular with teens, a trend that caught school officials and parents off guard. Designed to look like USB thumb drives, they can be charged on laptop computers. The tiny vapor puffs from the flavored nicotine fluid they contain can be easily hidden in a teen's sleeve. Yet teens are often unaware that Juuls, and similar brands such as Myblu and KandyPens, contain nicotine. Gottlieb said the FDA recently contacted eBay about several listings for Juul products, and the online site swiftly removed them. 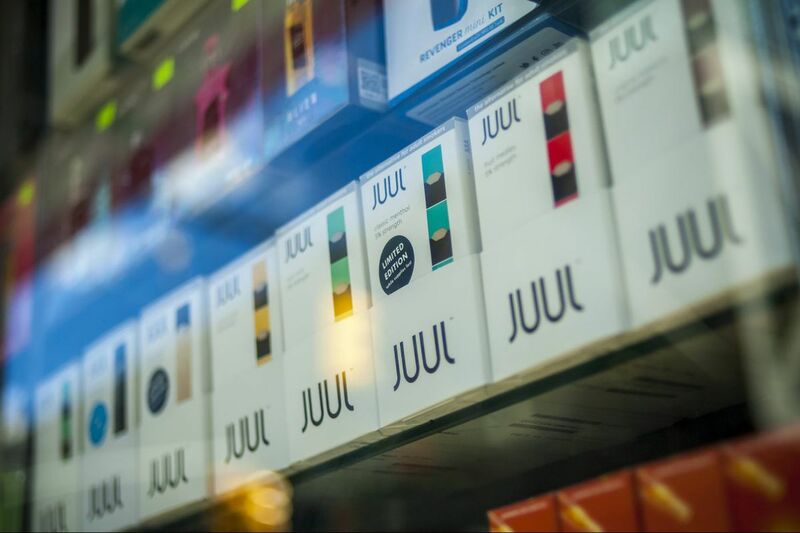 "Our overarching goal – one we hope everyone shares – is to make sure Juul, and any other e-cigarettes or tobacco products, aren't getting into kids' hands in the first place," Gottlieb said. In a statement, JUUL Labs said they agree with the FDA that illegal sales of their product to minors is unacceptable. "We already have in place programs to prevent and, if necessary, identify and act upon these violations at retail and online marketplaces, and we will announce additional measures in the coming days," the company stated. "We are working with the FDA, lawmakers, parents and community leaders to combat underage use, and we will continue working with all interested parties to keep our product away from youth." Matthew L. Myers, president of the Campaign for Tobacco-Free Kids, said that the agency took a positive step in addressing the dramatic rise in youth use of Juul e-cigarettes but that more was needed, including a review of any public-health impact the e-cigarettes may have, as required by law. "The problem can't be solved if the FDA doesn't enforce its own rules requiring prior review of new or changed products," Myers stated. "The rise in youth use of Juul is due in part to the FDA's failure and delay in enforcing this critical regulation."